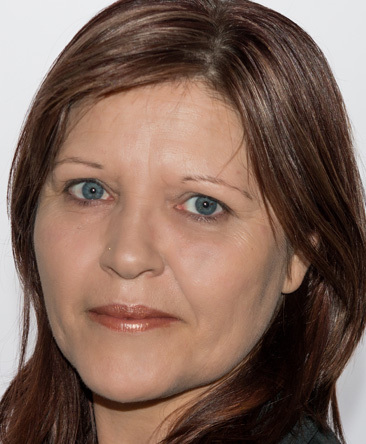 Hi I am Kerran, and I am a natural born psychic who has dedicated my life to helping people overcome any blockages, fears or frustrations they may experience in their own personal life journey. My aim is to encourage people to pursue their goals and dreams, and give them the insight to help them attract what they want in life. I have been told by many of my clients that I am an excellent psychic and teacher. I put this down to not only the psychic gifts that I have inherited, but also to my ability to really tune in and listen to my clients. Finding the best solution to your problem is why I am here! Ever since I was a little girl, I was always a curious soul asking lots of questions about spirits and God and more. I would see things and notice things move when I awoke from my sleep. I started having dreams that would also come true in the future. As an adult, I sought out a teacher and mentor who helped me develop and strengthen my psychic gifts for many years. This lead me to share my mentoring knowledge to become a teacher for other psychics, helping them to develop their own psychic abilities. The messages I receive from Spirit are very strong and I very much trust in the messages I receive. To give you the best psychic reading experience, I have invested a lot of time and resources into gaining other skills to give you the best psychic reading possible. I have a Counselling Degree, and have studied Human Behaviour, Communications, Abuse and Trauma, Child Behaviour and Management. I have personally experienced some amazing things on this planet, as I am sure you have too! You may need an explanation as to ‘why’ this has happened for you. You may need some insight as to what is in store for you on the relationship, career or finance front. I would be delighted to read for you, to help reveal for you the ‘why’s’ and the ‘what’s’. If you would like a reading from me please use my ID No. 2094. Kerran is rated 6.0/6 from a total of 36 Rated Reviews. Hi Kerran and thankyou for your reading, you were spot on. Just waiting now to see what unfolds, going with the flow. Kerran, thank you so much for your empathy and for your immense talents and gifts of insight. You provided comfort and clarity for me with a situation I grappled with to even try and begin to understand. Thank you. Aww thank you Daniel for your kind words. I am so glad I could offer you more clarity towards your situation. Love and Light. Thank you very much. I like that you’re straight up with me. Thanks. Absolutely loved the reading today. Was spot on with detail, I just have to wait for things to come forward as she has said they would. Thank you. I had a most uplifting reading with Kerran today. She had the ability to shed light from spirit from my point of reference and that of the person in question. I felt spirit give me the affirmation I needed to hear to heal and move forward. Kerran has a highly attuned understanding of soul mate connections and past life. I highly recommend her to you. Hi Anna, I am so glad I was able to help you on your path. I wish you all the best for the New Year and may many blessings come your way this year. Love and light. Brilliant! Thanks Kerran. Excellent reading. Spot on. Kerran tuned into my current circumstances without hesitation. Very confident reader… delightful persona. I’ve been with AbSS for years… def worth a reading with this gifted authentic reader. Kerran, I am in awe of your strength and dedication to the spiritual path. You are a warrior on earth with the force of the angels lighting the way. I can’t thank you enough for your ceaseless support. Without it, I don’t know what situation I’d be in today. You are just beautiful, and so spot on! I cannot wait to see how this all comes out… patience is a virtue no doubt. I would not hesitate in referring people to you, you are honest and never sugar coat stuff, hence why I love talking with you. Love and light to you. Magical Kerran, your insight is a true blessing. Your fearlessness, courage and wisdom is an amazing virtue. You have been a supportive mentor and teacher helping me through situations. You make anything achievable. You are indeed a beautiful fairy lighting the way. Much love and gratitude. WOW Kerran! Those two cracks I heard over the phone to my negative questions when a present spirit blacked out your power was a real direct message to direct me to positivity! You settled my confusion and sadness with clarity and I thank you so very much again. Best wishes to you! Thankyou Kerran. Trying my best - feel sad. You gave me hope, truth and accuracy. Thanks so much dear Kerran. Again your uplifting, positive yet always so caring energies have carried me on through a bit of a toughie - just wanted to say I am breathing a lot easier now and sleeping. Carry on dear Capitan! Sparkles and love and crystal blue flame coming your way! Folks, Kerran is all you would expect from a psychic. Accurate, quick to absorb, detailed, reliable, non-judgemental, caring & explains things exactly how they will unfold before they do. Kerran, thank you so very much for your accurate insights delivered with care & patience. Your amazing insights have always come true. Your gift is a treasure & I’m very grateful for you helping me & others. Thx heaps. return, and again thank you for being so kind and thoughtful. I do hope all your dreams and wishes come true. Ohhhh! Thank you Julie-Anne! I am so glad I can help you in this way, it makes my heart melt. Thank you for your kind words… they do mean a lot to me. First time talking to Kerran today, lovely reading. I look forward to August & hopefully things go well. You described the situation perfectly & it’s how I anticipate it to be. Thank you. Thank you Lynda, it was a pleasure talking to you and I hope everything turns out for you. I will be sending wishes your way. Just had another awesome reading from Kerran. So lovely to chat to and looking forward to the coming months and her prediction coming true. Thank you Nerissa. I am so happy you enjoyed your reading. Lots of wonderful things are coming your way with many blessings. Thank you Anna, I am so glad I gave you some clarity to your situation. I wish you all the best for the future with many more blessings to come your way. Thank you Jo. I really appreciate you taking the time to leave me a review. I'm glad you enjoyed the reading. l had a reading with Kerran and she was so on point and answered the question with the truth, not what l wanted to hear. She really helped confirm what l was feeling. Thank you and would recommend Kerran if you’re wanting answers in your life. Thank you Justin. I am so glad I gave you some clarity towards your situation. I wish you all the best. Had a totally amazing reading with Kerran. So lovely to talk to and had such accurate details about my situation. Thanks so much. Thank you Nerissa for your kind words. I am so glad you were happy with the reading. That means the world to me. Spoke to her last night. Amazing. Told her nothing. Accurate, straight to the point but caring. Thanks so much. I've had a couple of readings with Kerran. She has been consistent and accurate with the info she has given. I found her to be honest and a compassionate reader. One of my favourites. Dear Kerran. How great to have your input today on my life. You are so on the mark with so many aspects of my life and I just feel validation in many ways and I want to just say a huge big thank you for everything!! Just such an insightful inspiring reading. Blessings to you and yours. Kerran is spot on, she delivers accurate clear messages, and is really caring. I got very good advice and useful answers, and lots of predictions that make sense. Highly recommended! Kerran is an excellent psychic with deep insight. I've spoken with her a couple of times. She has a very caring reading style.